Michael Duff has been appointed as Burnley's new Senior Professional Development Phase Coach for the Under 23s. 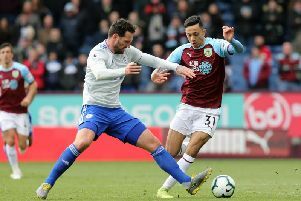 The former Clarets’ defender, who managed the Under 18s last season following his retirement as a player, steps up into his new role following the recent departure of Michael Jolley. Duff, 39, admits the opportunity to coach the Development Squad comes earlier than he expected: "It was a bit of a shock with Mike leaving to go and take a job in Sweden, so there was an opportunity to step up which the club have asked me to do and I’m happy to do. Duff, who began his new role on the Academy’s return to training yesterday, added: “I learned a lot last year about how to deal with other people and which (training) sessions work and which don’t. And Duff feels that will provide another stepping stone towards the ultimate goal of players progressing towards first team football: "I think it’s good and I think it’s important because friendlies are friendlies and however much you can try and dress it up, the players see then as that. Duff will be assisted by another former Claret Andy Farrell, who also steps up from the Under 18s.